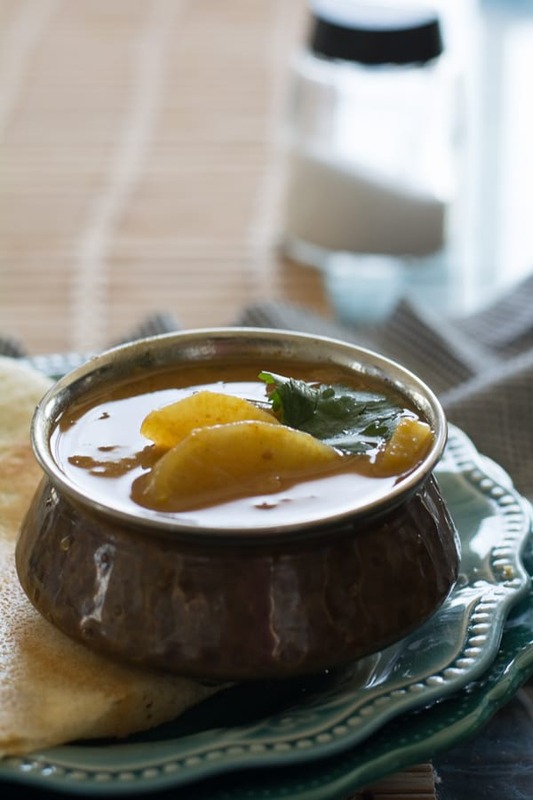 Mullangi Sambar / Radish Sambar recipe is a classic, and of course an authentic side dish recipe from South India. This sambar is made with the toor dal(lentil), radish, tomatoes, onion, tamarind, and some spices. This lentil dal is healthy, tasty and pack with loads of flavors. My Love affair with ..